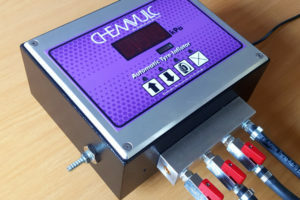 Chemical Vulcanizing Systems Pty (Ltd) “Chemvulc” was established in 1977. With four production facilities, Chemvulc manufactures specialized tyre repair materials for repairing tubes, passenger, truck and OTR tyres; as well as its growing range of industrial rubber products. Our manufacturing supplies our family of companies committed to serving our customers with quality products and services. We carry the most comprehensive range of products to service the tyre industry. You will find a wide range of patches, valves, retreading equipment, solutions and cements, airline gauges and equipment, as well as tyre repair tools and accessories. 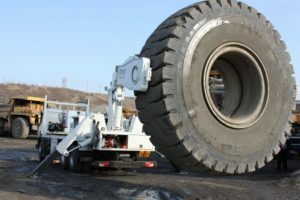 We developed our products around the extreme conditions encountered by our customers: hot climates, high tyre mileage, poor road conditions, and intensive mining operations in remote areas. It is no wonder that we export our products to countries that experience similar tough conditions; Israel, Australia, Malaysia, Romania, Pakistan, Zambia, Zimbabwe, Malawi, Mozambique, Kenya, Ethiopia, Eritrea and Mauritius. A long relationship with heavy industry and mining, we manufacture a range of products that can withstand the harshest industrial applications. Ranging from conveyor belt repair systems, pulley lagging, general purpose rubber sheeting, tank lining and specialized adhesives, Chemvulc’s industrial range of products are widely accepted on big mining operations throughout southern Africa. 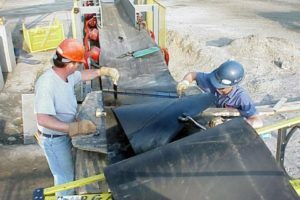 Our expanding range of industrial application rubber for mining and industry covers: hot and cold conveyor splicing products, rubber to metal bonding, rubber sheeting and specialised adhesives and cements. We are dedicated to supplying the best quality materials for the application. Chemvulc industrial rubber products also include industrial air bags and heat pads for Earthmover repair systems and conveyor belt repair. At Chemvulc, we offer specialised and custom compounding in butyl and nitrile rubber, as well as chemcure and specific bonding gums. Browse our Industrial range of products or request a quote for a selection of our products.